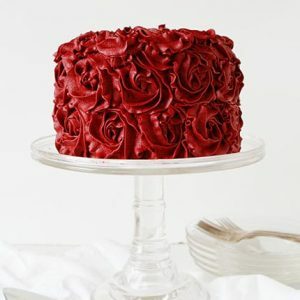 Red Velvet Buttercream should have a depth of flavor and a gorgeous red color. This recipe achieves that and is actually really easy! 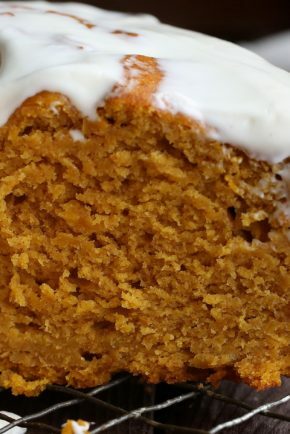 If you love American buttercream frosting as much as I do, be sure to try this recipe! Or, Red Velvet Buttercream. Deep, rich, vibrant, and tasty red velvet frosting that reminds you of a red velvet cake. This recipe offers up the color you want, the flavor you love (chocolate!) and the ability to pipe and create beautiful designs with. It’s just plain fun! 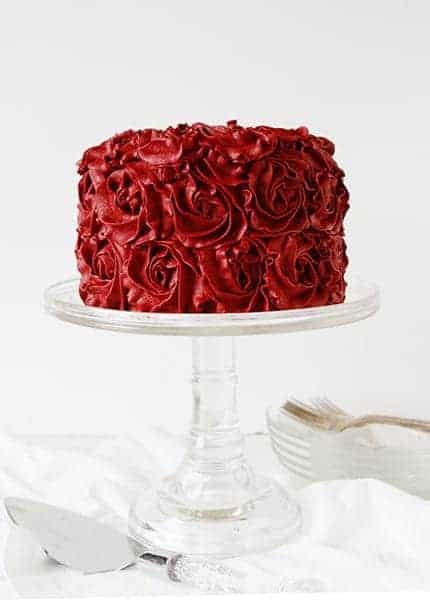 I wanted to show off this red awesomeness with my Rose Cake technique because there is nothing quite as beautiful as a deep red rose. Right? Right. 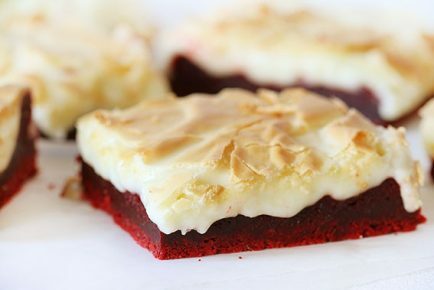 The most popular question I get whenever I share something red velvet is, “How do you get it so red?” Well, it’s easy. Red food coloring. The more you add, the redder it will be. One reason I like this recipe is because there is SO much cocoa, you do not need a huge amount of food coloring. Red food coloring will darken considerably the longer it sits! If you feel like your frosting is too ‘pinkish’, put it in an airtight container (PRO TIP: I like to store frosting right in plastic disposable pastry bags) and let it sit for a few hours or overnight. You will see the color deepen. Yes, you can use all natural food coloring like India Tree. I recommend using the entire bottle .75 ounce bottle for this size recipe. The color will be a bit more mauve, but still in the red family. To achieve the rosette look I have a picture tutorial here and a video here. This cake specifically uses a CLOSED star tip. Using a closed star tip gets the very delicate ruffle edges that you can see above. The red velvet buttercream recipe will be enough to cover a 2-layer cake. To get a nice clean cut, make sure that your cake is very chilled. If you don’t care about looks and prefer a light and moist crumb, then room-temperature is a great way to go! Seriously unique and always stunning! In a small bowl, sift together the confectioner's sugar and cocoa powder. In the bowl of a stand mixer fitted with paddle attachment, add butter and whisk for 2 minutes on high speed. Turn the mixer off and add in sugar/cocoa mixture. Whisk on low/medium low speed until smooth and glossy. Adapted from Perfect Chocolate Buttercream. 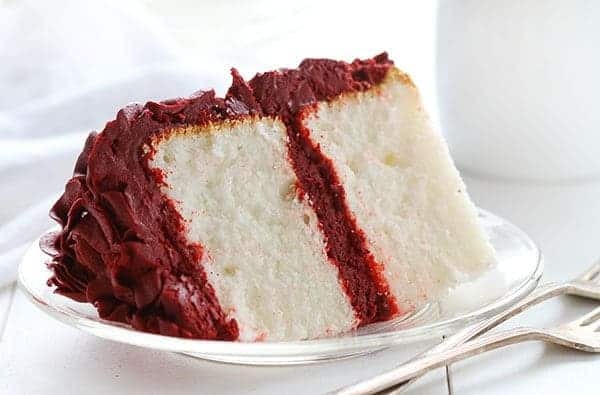 I paired the frosting with a white cake simply because I love the look and idea of a delicate white cake with a rich bold red velvet. 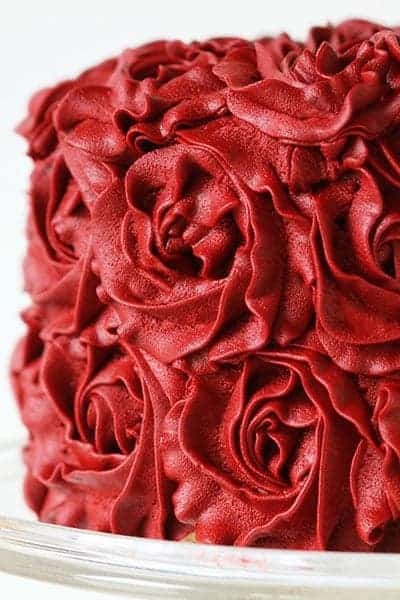 I can imagine that this red velvet frosting would be absolutely stunning with a red velvet cake! Or even a chocolate cake! You really can’t go wrong. As a matter of fact, everything about this is so, so right. To see more Red Velvet creations click here! Love this!! So beautiful! And I can imagine that the buttercream tastes just like red velvet – yum! This is SO beautiful Amanda, and I love that you had the idea to reverse a typical red/white red velvet cake – so original! Gorgeous, Amanda! The idea of reversing the red and white is so creative. I bet that frosting is good enough to eat with a spoon! Does the McCormick’s liquid red color have a “taste”? Have you ever made regular white buttercream and used McCormick’s to color it red? Delete that same amount of liquid from the milk? Though Super Red, No Taste Red, and Tulip Red have less taste, it would be nice to know you could pick up a simple bottle of McCormick’s. Almost too pretty to eat! …. although, I would totally eat it. DUH. This cake is just gorgeous. And I love the white cake recipe too. The Red Velvet buttercream is just brilliant. Amanda, that’s some beeeautiful piping! Just gorgeous! 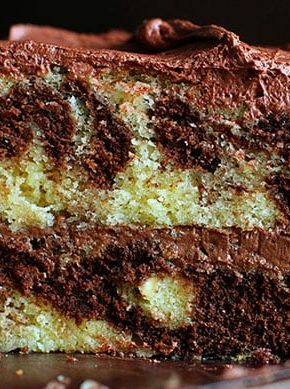 You have officially blown any other contrast cakes out of the water. Now that I’ve seen this stunner, I call the black and white combo out and the red and white in! That fluffiness of the cake looks like angel food cake…what a beauty! Terrific looking buttercream, I curious about the apple cider vinegar? ‘Bout that bass, no treble 😛 oh the buttercream.. . LOVE!!! gorgeous!!! This cake is stunning with your red velvet buttercream! Your rose swirl is my always my favorite way to decorate any cake now. Pure perfection! Wow! Those red roses look amazing. I wish I had just a fraction of frosting skills! Oh. My. Goodness. This looks divine!! Love your blog and I also love this post!!! The red frosting is so strikingly different from the white cake inside. It looks stunning. I absolutely must make this for my next cake! Thanks for sharing! I am obsessed with how beautiful this cake is. Your icing skills are incredible! pinned! Ah this frosting looks rich, sinful and delicious!!! Lovely. Welldone. 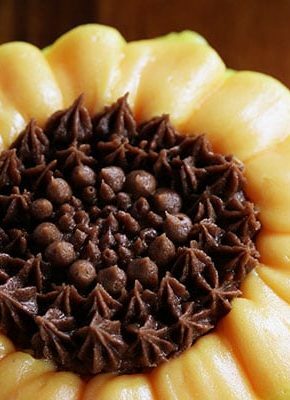 What tip did you use for these rosettes? I always use 1M and in your tutorial you say use a 1M; however the roses are different on this cake than on the other ones! 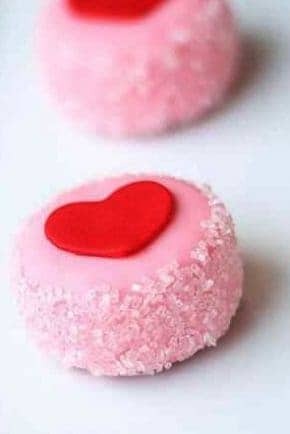 I love these ones and would love to know how to make these ones! But the 1M isn’t a closed tip. Now I’m confused!!! I think the 4D is closed maybe? You can get it in a set with the 1M and the big plain round one. I love the ruffly edges on the roses.